MUTE 4.0 (FROM 1978 > TOMORROW) We're releasing a strictly Limited Edition 'the normal' T-Shirt, only 100 to be custom made with your chosen number. 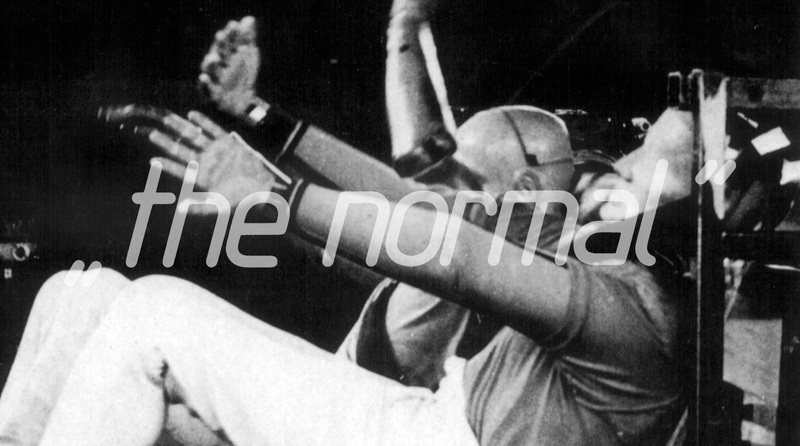 Mute launched in 1978 with the release of Daniel Miller’s 7” single, Warm Leatherette / TVOD under the name The Normal. Mute has nurtured and worked with artists as diverse as Depeche Mode, New Order, Goldfrapp, Moby, Erasure, Nick Cave & The Bad Seeds, Fad Gadget, Ben Frost, Liars, Josh T. Pearson, Yann Tiersen, Throbbing Gristle, Lost Under Heaven, Yeasayer and Can. Running parallel to its strong commercial track record, the guiding spirit behind Mute has always been one of artistic freedom and creative adventure. Our numbered Limited Edition ‘The Normal’ T, coming soon.